Our homes are our most valuable and cherished assets. That’s why it’s important to partner with a trusted advisor who has a deep understanding of the real estate market who can help you find the highest possible offer in a timely manner. For over 29 years I have been successful in uniting extraordinary homes with extraordinary people from around the world. Exclusive marketing partnerships from around the world. I partnered to bring Sotheby’s International Realty to Bainbridge Island because of the incredible level of marketing and exposure it brings to my sellers, both here locally and world wide, through our comprehensive network of agents and exclusive marketing opportunities. Our exclusive partnership with the Puget Sound Business Journal includes placement on each article, 30 days to vote for the “home of the day” and an email blast to their over 20k subscribers. With distribution to over 8000 affluent Chinese individuals in the major cities – Beijing, Shanghai, Hong Kong and more – Unique Homes China is a premiere source for Chinese buyers looking to invest overseas. Sea Magazine has been America’s western boating magazine for nearly 100 years. 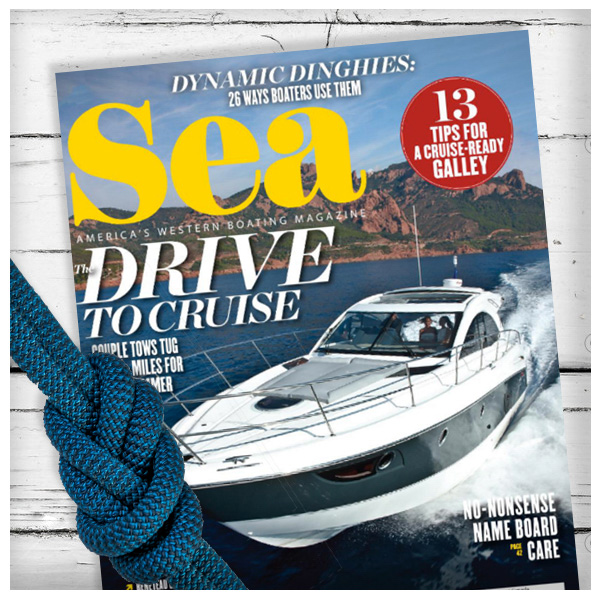 Sea brings you up-to-date information on boating trends, new boat and equipment reports and new product news. Everyone wants to begin by looking at properties, and I bet you have a few after spending many hours looking online, making a list of beautiful places. After all, that is the fun part. Who doesn’t love seeing what you like, what might be a good fit, dreaming. But before we begin I would love to get to know you better, what your wants and needs might be. And who knows, I might know of the perfect place that you may have not seen yet. Purchasing a home is an investment in the future, but it doesn’t have to be so stressful. I want to partner with you to provide the in-depth market knowledge and experience that are vital to making your dream a reality. For more than 29 years, I have earned the trust of my clients by making it my goal to create a buying experience that is as seamless as possible. No matter what the price point, I will work hard to find you a place you’d love to call home! The Island Lifestyle on Bainbridge Island. Bainbridge Island is a beautiful, rural, wooded island with great public schools, abundant recreation and a small town way of life that’s to be admired. And it’s as close as you can be to Seattle while still having Puget Sound in between as a buffer. Sports, jobs, arts, education, entertainment – Seattle has it all and it’s a 35 minute ferry ride away. Bainbridge Island welcomed its first visitors in 1792, and has since become a historical hub, ever enhancing, while still staying rooted in its history. Winslow Way, Bainbridge’s city center, has flourished with modern and quaint shops while maintaining the island’s charm. This central street draws in the 23,000 residents to experience the island living lifestyle and community a small island has to offer. With 28 square miles of land, you will find plenty of property options within a short drive to the central area of the island. Families have benefited from the highly ranked public schools and strong connections within the small school district. A unique blend of community and opportunity are combined through small town living and a 35 minute ferry ride to all that Seattle has to offer. Sports, jobs, arts, education, entertainment-Seattle has it all. Beautiful Puget Sound acts as a buffer from the bustling city to maintain our quiet island life. The Pacific Northwest has stunning outdoor views and Bainbridge Island is no different with it’s spectacular, rural, wooded, 1600 acres of parkland. There are countless home grown activities with beaches, bays, marinas, parks, hiking, biking, and kayaking. In addition, across the Agate Pass bridge is the entire Kitsap Peninsula, Hood Canal and majestic Olympic Peninsula beyond. Bainbridge Island provides numerous activities for every outdoor enthusiast. With the island lifestyle, the small-town community, and the great outdoors, Bainbridge Island has it all. But most importantly, the people of Bainbridge Island are the nicest you’ll find anywhere.